I’ve attended the Center for Discovery Annual Golf Outing for many years. 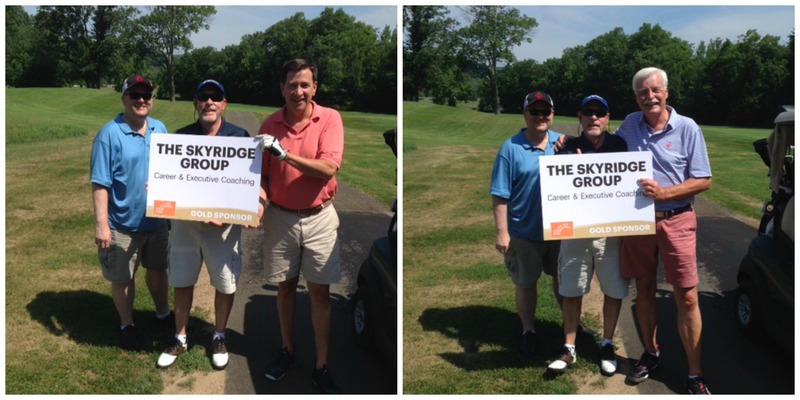 It’s a fun day with close friends in support of the Center for Discovery. It’s a remarkable residence that provides educational, clinical/health, family support and other services for those with disabilities. My first sales manager was Gary Gutchell. 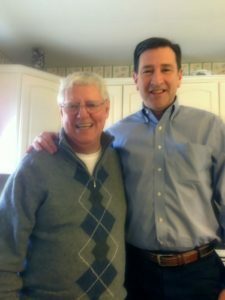 He taught me so much about sales, business and always believed that our families come first. I was blessed to have worked with him. 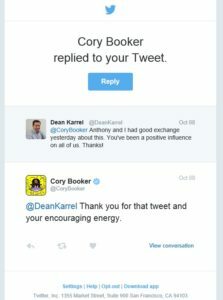 I really like Cory Booker, our New Jersey Senator. A man of great leadership and interpersonal skills. It made my day when he tweeted his thanks back to me.